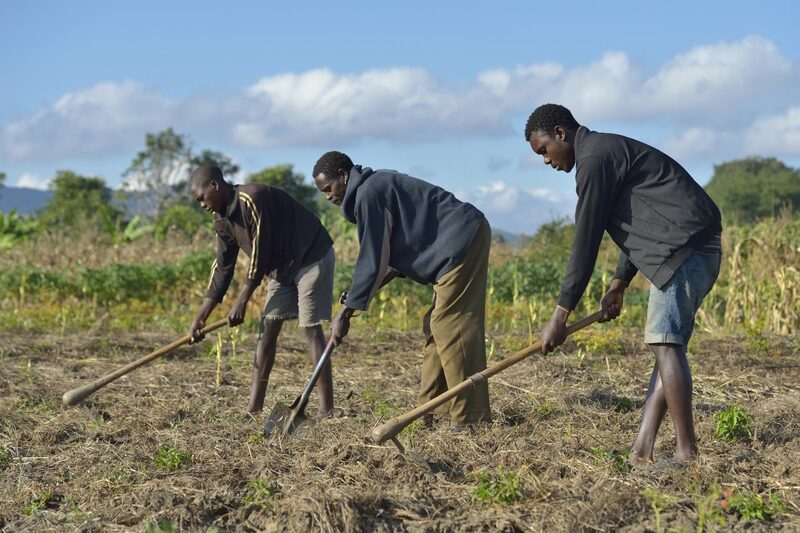 Chomex Nkhambule (centre) works on his farm with his sons Mzee (left) and Aron in Edundu, Malawi. Families in the village have benefited from intercropping, crop rotation, and composting practices they learned from the PWS&D-supported Malawi Farmer-to-Farmer Agro-Ecology project of the Ekwendeni Mission Hospital AIDS Program. The new farming skills and techniques convinced Nkhambule to come back to the village from South Africa, where he was working and sending remittances home.